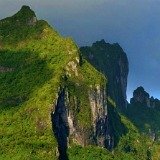 Update: Unfortunately since June 2017, Tahiti Helicopters has closed operations and there are no helicopter tours available for tourists in Tahiti at this time. 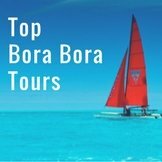 Bora Bora helicopter tours are the best way to appreciate the astonishing beauty of the world's number 1 island. 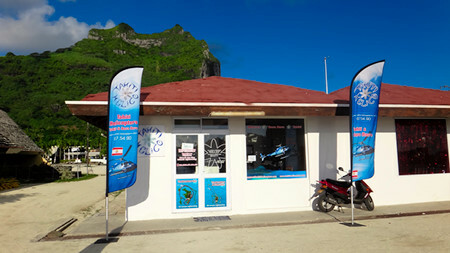 Helicopter flights also offer fast, scenic, inter-island Tahiti travel. 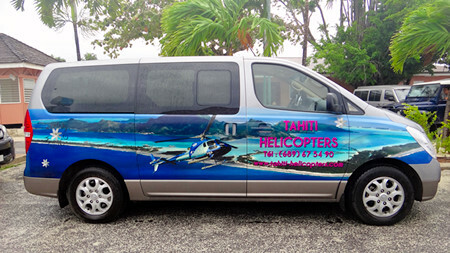 Tahiti Helicopters began operating these exclusive services in 2011. It's the only private helicopter company in French Polynesia and has 3 Ecureuil (Squirrel) helicopters which can carry up to 5 passengers. 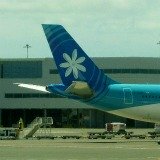 Two are based at Tahiti's Faa'a Airport and give sightseeing flights around Tahiti and Moorea. 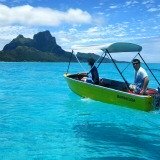 Bora Bora helicopter tours are very popular so another is based there. Soon there will be 4th helicopter located permanently in the Marquesas. Bruno Lamos has combined his passions (helicopters and Tahiti) to head the team. Three other pilots, Michel, Roudot and Adrien give a smooth, safe, entertaining ride. They share their extensive local knowledge through the intercom or headphones. 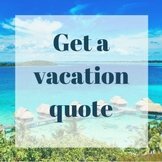 Departing from Tahiti, Moorea or Bora Bora, you can choose your own itinerary. The sqirrel helicopters can fly up to 350 miles (600 kms). 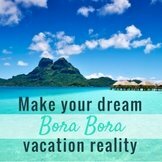 So if you want private, fast, scenic travel between the main islands in French Polynesia, and money is not a consideration, Bora Bora helicopter flights are the answer. 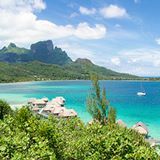 There's Tahiti Bora Bora helicopter flights and Moorea to Bora Bora heli flights. 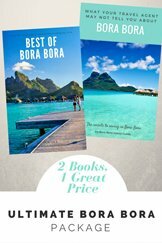 You don't even have to land at the motu airport in Bora Bora. You can arrive discreetly at your hotel. 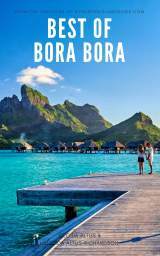 The luxurious Bora Bora resorts have helipads. The Four Seasons, St Regis, Intercontinental, Le Meridian, Pearl Beach and Hilton Nui all provide a helipad. 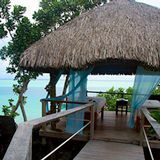 Bora Bora to Taha'a helicopter flights are also available, landing at the secluded Le Taha'a Island Resort & Spa. 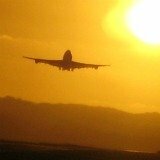 Flight regulations on these trips are similar to airlines. You must show a valid passport. Carry on baggage size is 56cm x 45cm x 25cm. Items prohibited in the cabin are firearms, instruments that could be used as weapons (including golf clubs) and hazardous substances. 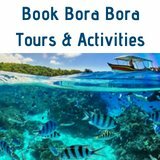 Helicopter tours are rated as one of the top Bora Bora activities. Imagine the glamor of being picked up at your resort by helicopter! From the sky you have a spectacular bird's eye view of the changing water colors of the lagoon and can see the resorts and their gorgeous beaches. It's also the opportunity to have a close look at Mt Otemanu's dramatic cliffs. Ask to fly over pristine heart shaped Tupai Island, which is nearby. For private tours you can choose the day, time (in compliance with regulations), destination and number of passengers, up to a maximum of 5. The minimum flight length is 15 minutes. Cost is 5.000 XPF per minute. 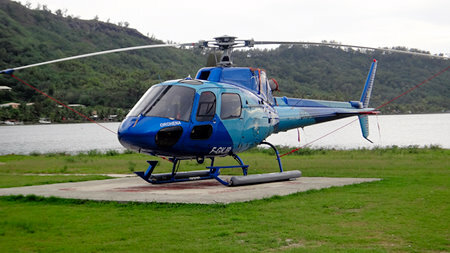 To help decide if a ride in the sky is for you, see more details about organized helicopter tours. 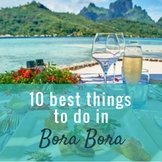 If you want to take a Bora Bora helicopter ride and jump above the most beautiful scenery in the world, that can be arranged too. 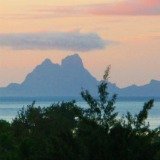 Whether you're a tourist or a professional photographer, Tahiti helicopters can advise you with their special knowledge of the local topography and best spots for taking great Bora Bora photos. If there's only 2 passengers, you can arrange to have doors off during your flight so that you can take photographs from an open door, while wearing a safety harness. 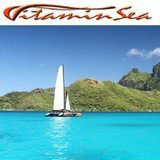 The all-inclusive Paul Gauguin is the only cruise ship dedicated to sailing Polynesian waters. 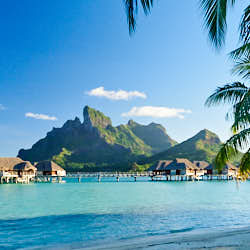 Passengers can take Tahiti, Moorea and Bora Bora heli tours during Gauguin's stop-overs at these islands. 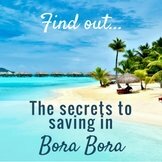 Don't go to Bora Bora wondering what you may miss, if you don't book one of the helicopter tours, on offer.